A Great Falls Democrat is trying to convince his fellow House members to put the idea of creating an oil and natural gas trust fund before voters in 2014. Representative Tom Jacobson (D-Great Falls) says his bill follows the lead of a coal trust fund created by the legislature in the 1970s. “What this does is make us fiscally responsible, fiduciarily prudent, and puts money ahead for us for the future,” Jacobson said. His bill, HB589, would put some of the taxes already collected by the state into a trust that could not be ‘busted’ without a vote of three-fourths of the members of each legislative chamber. The state would only be able to spend the interest collected on the trust after its establishment in 2016. Jacobson says it would probably take between 20 and 25 years before the state is taking out more money than is being put in. House members gave preliminary approval to the measure last Thursday with a 53 to 47 vote. Another Republican, Austin Knudsen, who also works as an oil and gas attorney, says oil companies are already taxed too high in the state. Representative Margie MacDonald (D-Billings) argued oil should be taxed more because it’s a finite resource. She says other nearby states and Canadian provinces have created these type of trust funds. “Resource-rich states understand that these are one-time resources and we harvest the benefits from them in our generation, but there are future generations of Montanans who deserve a legacy from these resources as well. This is just good common sense,” she said. A number of Republicans also spoke in favor of the measure, calling it a fiscally conservative move that could lower taxes down the line. Because the trust fund would need to be created through altering the Montana Constitution, it must go before the voters before it’s created. Rep. Jacobson’s bill will need a 2/3rds majority of both legislative chambers combined to send the measure to voters. The Montana House of Representatives has passed second reading on a bill to allow hunters to use rifle silencers when hunting wolves. House Bill 27 would only allow silencers to be used after the general big game hunting season. The sponsor, Representative Ted Washburn (R-Bozeman) told the Helena Independent Record silencers help protect the hearing of hunters. He also says a company in his district makes rifles and silencers. Washburn says about 600 Montanans already legally hunt with silencers when hunting coyote, fox, prairie dogs and gopher. He says those using silencers have to pass a 6-month federal background check and pay $250. The House approved the bill 68 to 32. It has one more vote on third reading before moving the Senate. 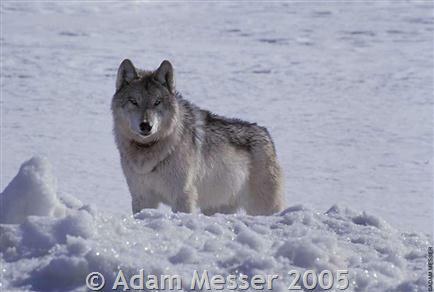 The wolf hunting season lasts through the end of this month.